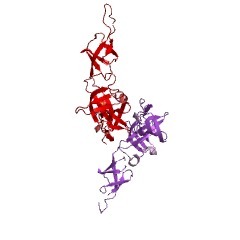 Elongation factor P (EF-P) is a prokaryotic protein translation factor required for efficient peptide bond synthesis on 70S ribosomes from fMet-tRNAfMet [(PUBMED:9195040), (PUBMED:9405429)]. EF-P enhances the synthesis of certain dipeptides with N-formylmethionyl-tRNA and puromycine in vitro. 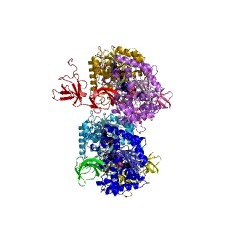 EF-P binds to both the 30S and 50S ribosomal subunits. 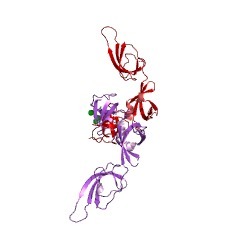 EF-P binds near the streptomycine binding site of the 16S rRNA in the 30S subunit. 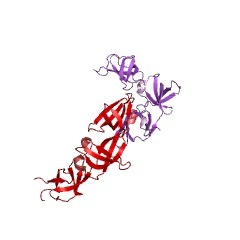 EF-P interacts with domains 2 and 5 of the 23S rRNA. The L16 ribosomal protein of the 50S or its N-terminal fragment are required for EF-P mediated peptide bond synthesis, whereas L11, L15, and L7/L12 are not required in this reaction, suggesting that EF-P may function at a different ribosomal site than most other translation factors. 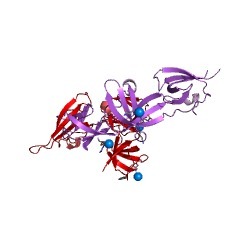 EF-P is essential for cell viability and is required for protein synthesis. 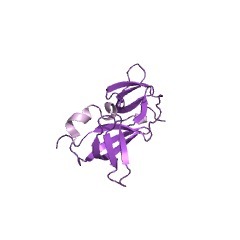 EF-P is mainly present in bacteria. The EF-P homologs in archaea and eukaryotes are the initiation factors aIF5A and eIF5A, respectively. EF-P has 3 domains (domains I, II, and III). Domains II and III are S1-like domains and have structural homology to the eIF5A domain C, suggesting that domains II and III evolved by duplication. 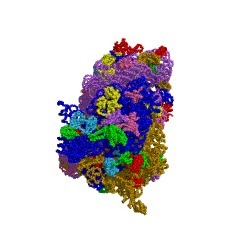 This entry reresents the central domain of elongation factor P and its homologues. It forms an oligonucleotide-binding (OB) fold, though it is not clear if this region is involved in binding nucleic acids [(PUBMED:15210970)]. There are 18020 EFP domains in 18020 proteins in SMART's nrdb database. Taxonomic distribution of proteins containing EFP domain. This tree includes only several representative species. The complete taxonomic breakdown of all proteins with EFP domain is also avaliable. Click on the protein counts, or double click on taxonomic names to display all proteins containing EFP domain in the selected taxonomic class.